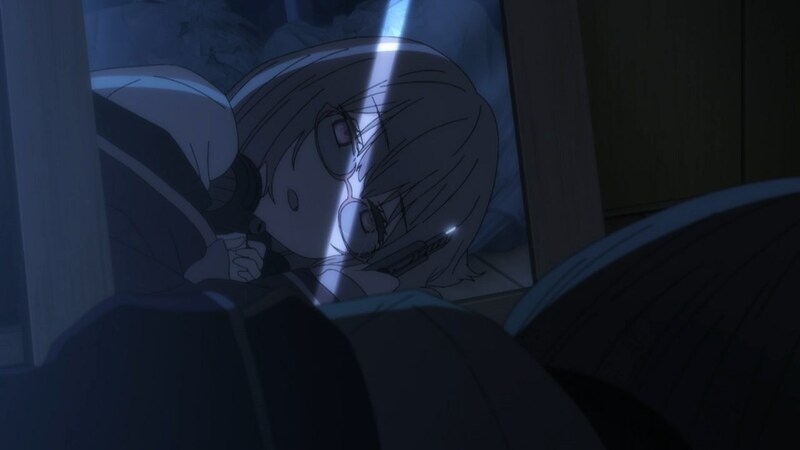 I’m really starting to wonder about SSSS.Gridman. It seems like the show doesn’t really have a plan or even any semblance of an idea on how to move forward. We’re 8 episodes in, the major plot elements of the show have been more or less revealed, and the only thing left is the end game. Yet, the show has to fill another 4 episodes, and so its artificially stretching out things to try and fill the time, or so it seems. Also… What happened to the show’s production values? 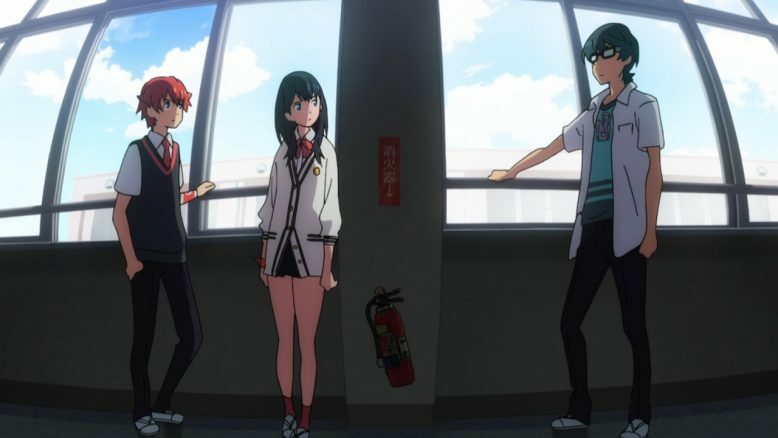 I’ve heard murmurings around the internet that SSSS.Gridman’s success took everyone by surprise, including its own studio TRIGGER. 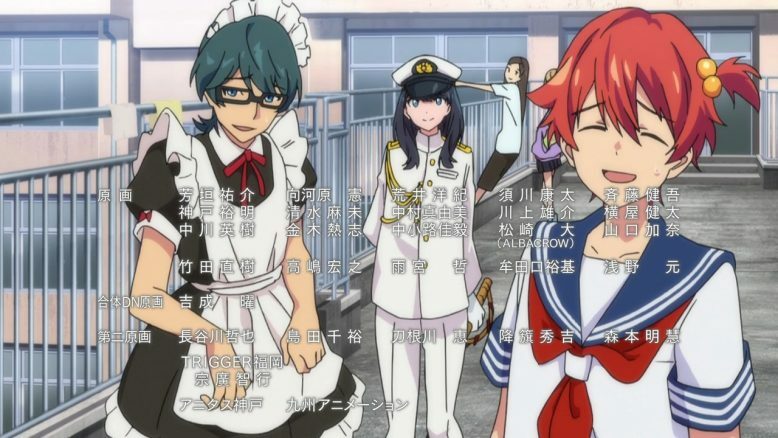 The fact of the matter is that this show had a really strong start, with a well thought out combination of solid teenage characters, an aura of mystery and an intriguing world to boot. The first few episodes in particular had a good balance of world building, plot revelations and character moments all strewn in on a weekly basis. The show was fun to watch because everything moved decently quickly and there was always something new and interesting to unearth and learn about. Then… we hit the first major plateau of the show, and things have never really been the same ever since. Its almost as if the show itself was planned and immaculately scripted for the first few episodes, with the second half being more of a “we’ll cross that bridge when we come to it”. There’s really no other way to read the sudden shift in writing quality, pacing and just generally interesting things happening each week. Even more problematic than all of that I think, is how much the show continues to just miss the opportunities that it, itself creates. I mentioned last week how utterly immersion breaking Utsumi and Rikka’s reactions to the big Akane reveal were, and this week followed suit once again with another similar moment. The whole idea of Rikka and Akane’s conversation is brilliant, especially when Akane lets it loose that she programmed/created Rikka in a way where she can’t hate her. That’s bone chilling stuff, and its the sort of creepyness that SHOULD break a character, or at least illicit some sort of interesting reaction. 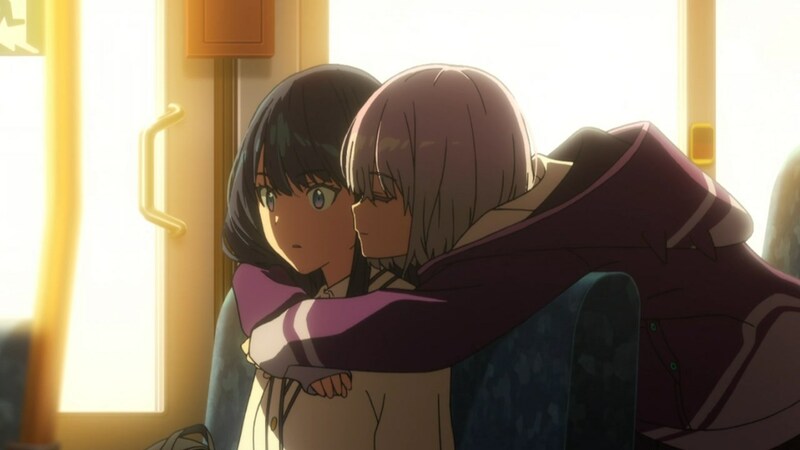 Yet, Rikka pretty much just gets off the bus, and we really don’t see anything from her beyond a renewed vigor to join up with Hibiki and Utsumi in facing off against Akane. Its unfortunate, because the whole central idea of this episode is a clash of ideals between wanting to fight Akane, and trying to bring her back to the light. Its a really smart move, and it would’ve been great to see some actual drama or something happen as a result of it. 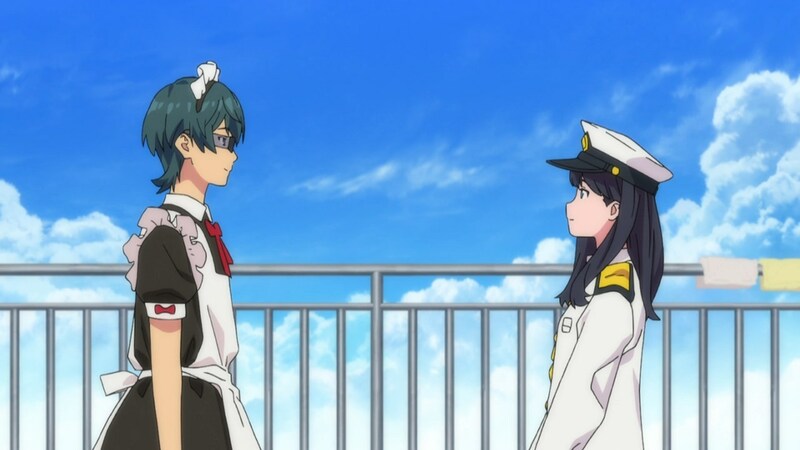 Instead, what we get is a stupid little spat between Utsumi and Rikka, that doesn’t really end in much of anything other than a rather choppy reconciliation. This, coming from the show that used to be able to really nail how teenagers would feel, work and talk to one another. The romantic tension between Rikka and Hibiki from earlier in the show? Even that’s been put on the back burner and instead we get a scene of it here and there. And as for Hibiki himself? Well, he’s transitioned into being one of the least interesting characters in the show. He’s the boring shounen protagonist at the moment, and all he exists to do is fight against Akane and try to stop her. The nuance, the feelings of uncertainty and vulnerability that the show started him off with, they’ve just been shoved aside. Even Akane, who’s supposed to be some kind of interesting and menacing psycho, is just kinda muted and boring herself. She’s just… weird, more so than anything else now. She acts like a child and will do weird stuff like bring her created Kaiju to school, just to show it off to Utsumi, Hibiki and Rikka. And then when she loses, she’ll just get depressed and really not do much of anything. 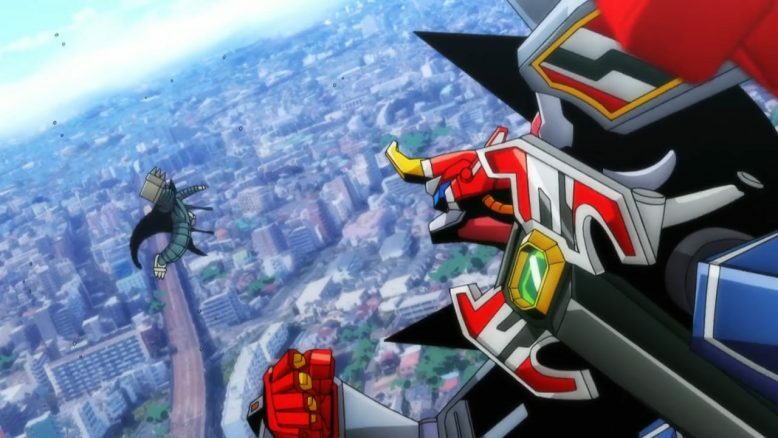 Now, I’m sure there are people who really enjoy the Gridman fights in this show, but I really don’t. They’re fine, they’re dumb and cheesy, and honestly they don’t really matter all that much to me. 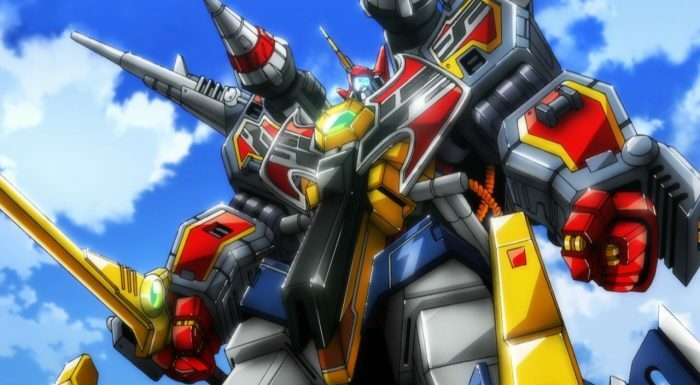 Part of it is probably because I don’t really care about the Gridman franchise as a whole, but honestly, its the fact that that the battles themselves are more of a plot device than anything else. Akane and Hibiki need to do something to basically face off against one another, and the Gridman battles are just a neat little tool to get that particular part of the story done. I think the show has never pretended that the battles in the show are anything other than a vehicle to move the plot forward, which I think was smart. The problem here, of course, is that with each week we’re kind of getting repetitive to the point where even this aspect is starting to grate, at least on me. 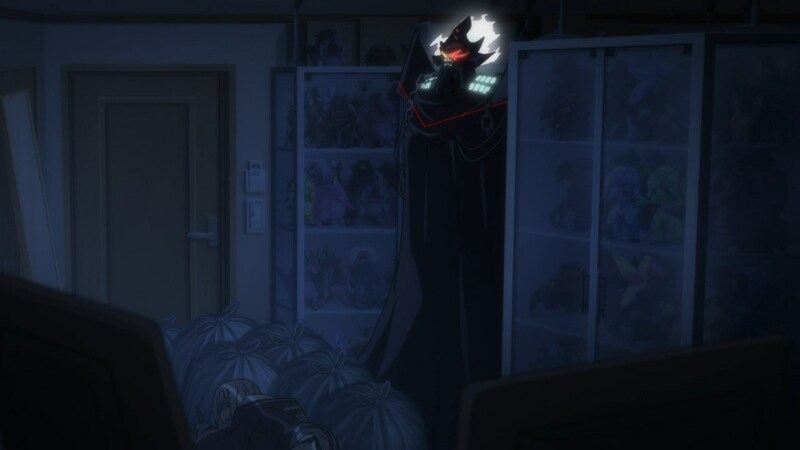 So now we see Gridman’s most powerful form, in episode 8…. Okay? We saw Gridman and his weapon buddies take down another Kaiju that Akane created, but honestly, to what end? I guess that is the larger issue and the big question; Where is this all going? I mean, Akane isn’t getting any worse or better, nor is the show doing anything interesting with her. The rest of the cast isn’t faring any better, and everything as a whole is just kind of crumbling into being boring and mediocre. Yeah… This show is really running out of ideas, and things are certainly getting weird…. At the moment, while everything is “fine”, there’s no real draw to this show these days. We know that Hibiki and co need to stop or heal Akane somehow, and we know Alexis is the big bad. We also know that Akane created everyone (or so she claims), so at this point all that needs to happen is for the show to just settle in on a way to end things, and just end it all. Given that we have another four episodes before the show can actually do that, well… We’re definitely not in a great place right now. Honestly, if this were any other show, and if it weren’t close to wrapping up, then I’d probably be contemplating dropping it, at least in terms of episode blogging. Sure the show is fine, but with nothing altogether interesting happening, there’s really not a lot to say beyond just pointing to that fact, and lamenting on the show’s missteps. A garbage filled room? Yeah, that kinda explains where we’re at right now with this show…. A part of me hopes that SSSS.Gridman comes up with some novel twist to get us through these last four episodes, but I honestly am not holding my breath. At this point I suppose I’m in for the ride, as mediocre as it seems to be going.